Spricejet is one of the most popular airline pages here on the website, so I was very excited to head over to India to see what the fuss is about. 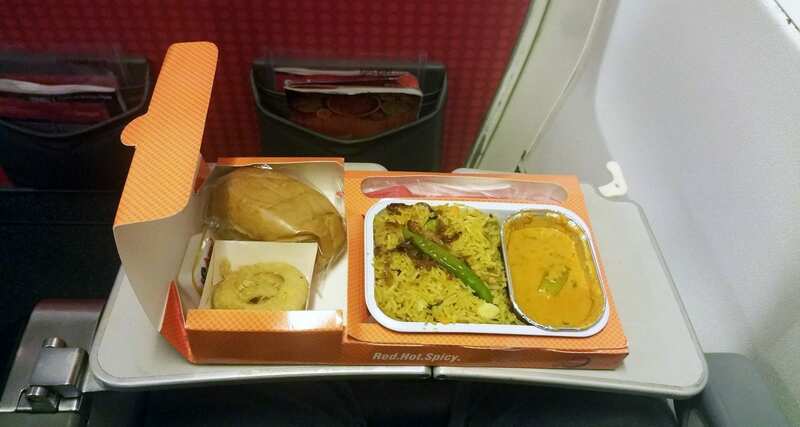 Their pre-order meals are quite popular in India, and I was keen to see what this airline offered to eat inflight. So as part of my trip to India to fly on as many airlines as I possibly could, I managed to include Spicejet on a journey from Bangalore to Mumbai. During the booking process, I pre-ordered a hot vegetarian meal option and decided that I wanted to check out their inflight birthday cake, so I ordered one of those also. 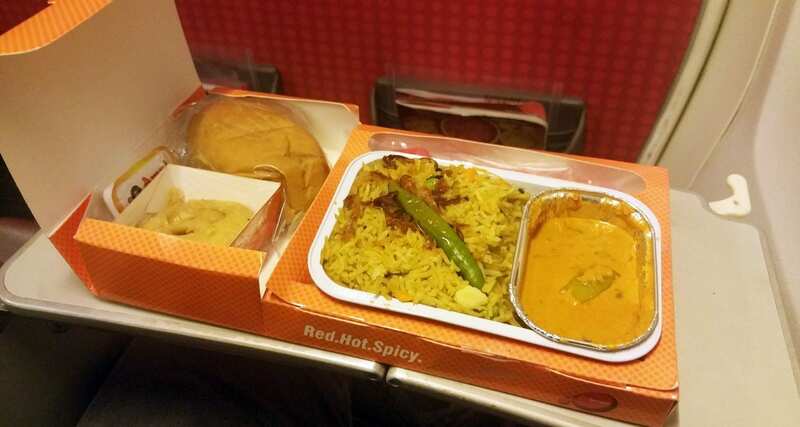 If you pre-order your meals online the airline will serve you before anyone else inflight, for further information on their meals go here. The cabin crew thought it was my birthday, but I quickly explained that it wasn’t and that I just ordered it to check out the offering. 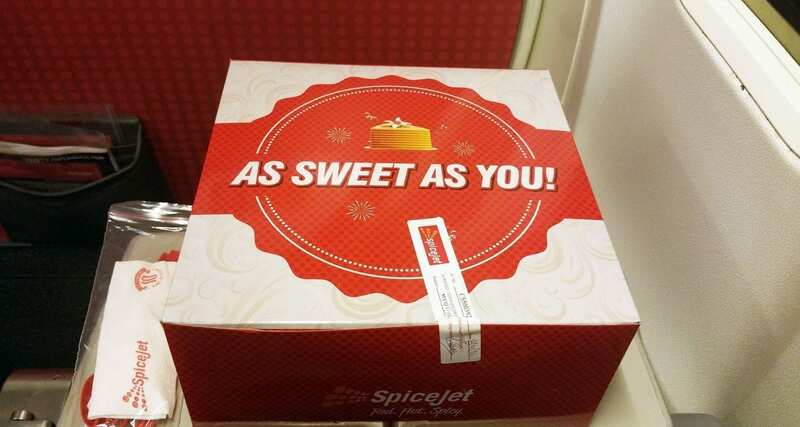 The cake grabbed the attention of the passengers sitting in 1A and 1B, and we started talking about the inflight food on Spicejet, and then they started quizzing me about why I had ordered the cake. 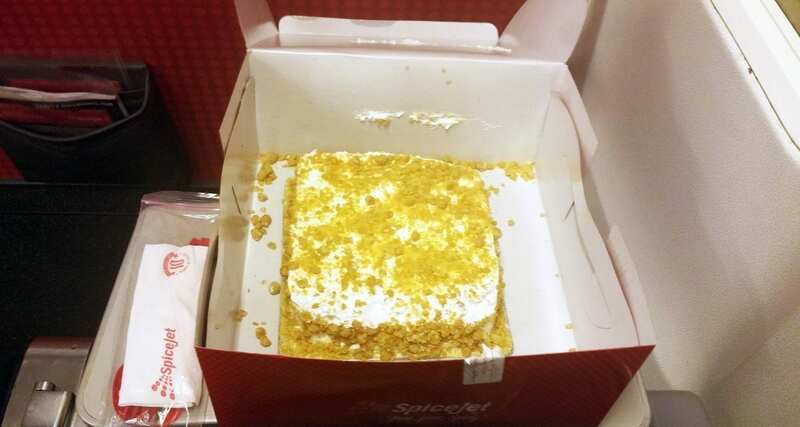 In the end, I ended up sharing the cake with them and other passengers, as well as the crew. The cake itself wasn’t anything to write home about, it was full of cream which isn’t my thing, but the other passengers liked it. The first thing that I noticed was the excellent packaging that the meal came in, quite innovative I thought. It’s always fun to open up compartments on an airline food tray when there’s no inflight entertainment your meal becomes it. Vegetarian Biryani! Served with a small dessert (no idea what it was called sorry) and a bread roll. The meal itself was spicy, but not overly, and it was delicious! They offer a great range of meal options, and the prices start at only USD3.40 per meal!